A Walmart (WMT) executive who sounded the alarm about dismal sales figures earlier this year has left the company. In February, Jerry Murray, a vice president of finance and logistics, wrote in an email to fellow executives that sales figures to start the month were a "total disaster" and the "worst start to a month" he'd seen since joining the company. That email was leaked to the media, causing the retailer's share price to dip and the company to spring into damage-control mode. According to Bloomberg, Murray left the company on April 5, and a company spokesperson said that the decision to leave was his. 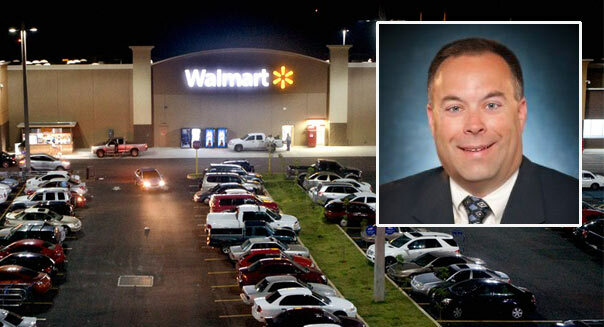 It's unlikely that the departure was directly linked to that email, though the recent rash of empty shelves and supply-chain issues at Walmart may have been a factor. The company spokesperson told Bloomberg that those issues were not linked to the departure of Murray, whose replacement has not been announced. In an earnings statement filed a few weeks after Murray's leaked email, Walmart explained away its February sales woes as the product of delayed tax refunds. Still, competitor Costco (COST) didn't seem to be stung too badly by the delayed refunds, posting a 5% same-store sales increase for the quarter through mid-February.